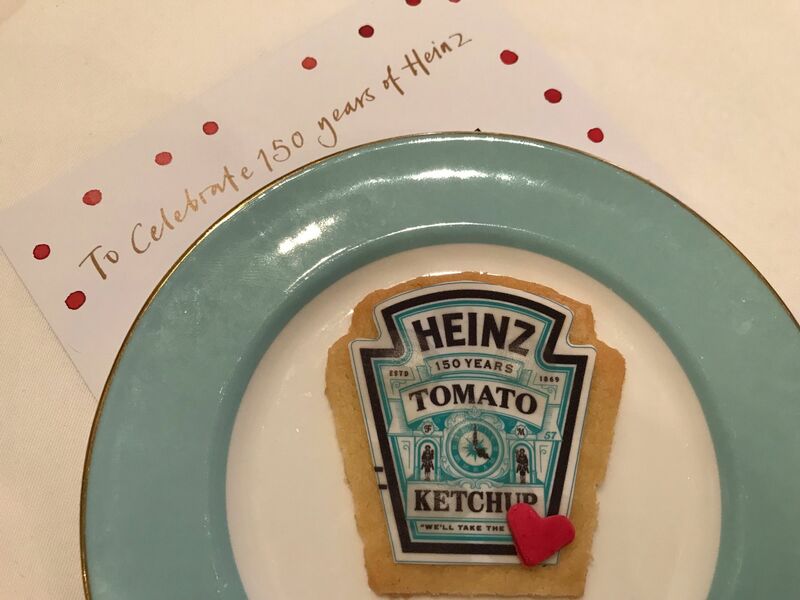 With a taste for caviar and a life-long love of tomato ketchup, I jumped at the chance to be one of the first in the world to try Heinz’s latest offering – Ketchup Caviar – created to celebrate their 150th birthday. 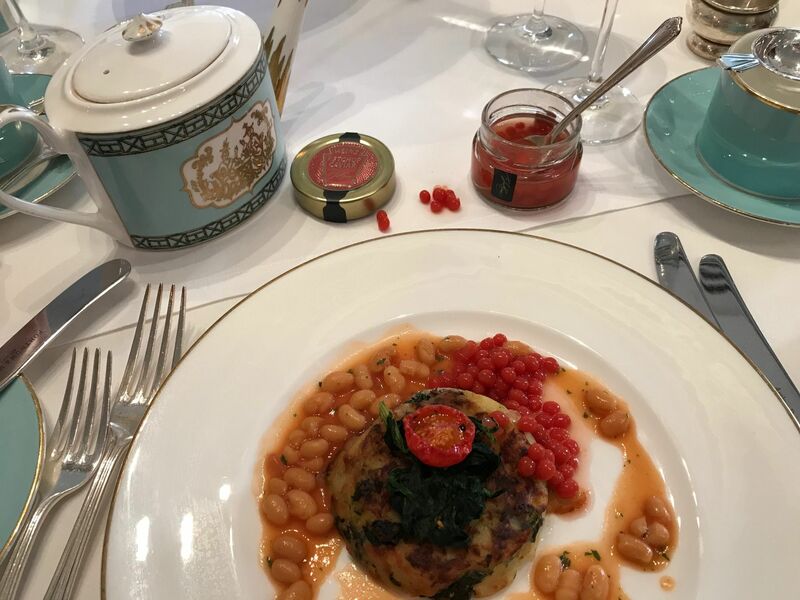 As with any big reveal, there was hushed excitement as we took our seats in the famous Fortnum & Mason’s Diamond Jubilee Tea Salon to raise a champagne toast to ‘Beans Meanz History,’ and tuck into a ‘ValenHeinz’ menu, perfectly paired with Heinz Ketchup Caviar. For more than a century, Heinz Tomato Ketchup has been the jewel in Heinz’s crown, so how does their Ketchup Caviar shape up – and can it tantalise our taste buds as much as their other precious commodity? A caviar shaped glass containing Heinz Tomato Ketchup shaped into tiny red pearls, similar in look to caviar, but bigger, with a tiny bit of juice in the jar. Soft and succulent, with the same tangy tomato taste, the dainty red pearls melt in the mouth, and slip down a treat. Firstly, we were presented with a delicious dish of cheddar cheese, potato and spinach cake, with Heinz Beans and parsley butter sauce. We were encouraged to open our jars and spoon on the Ketchup Caviar, to make our meal that much tastier, and it sure did. The delicate texture enhanced the savoury nuances and worked really well. What else did we taste it with? 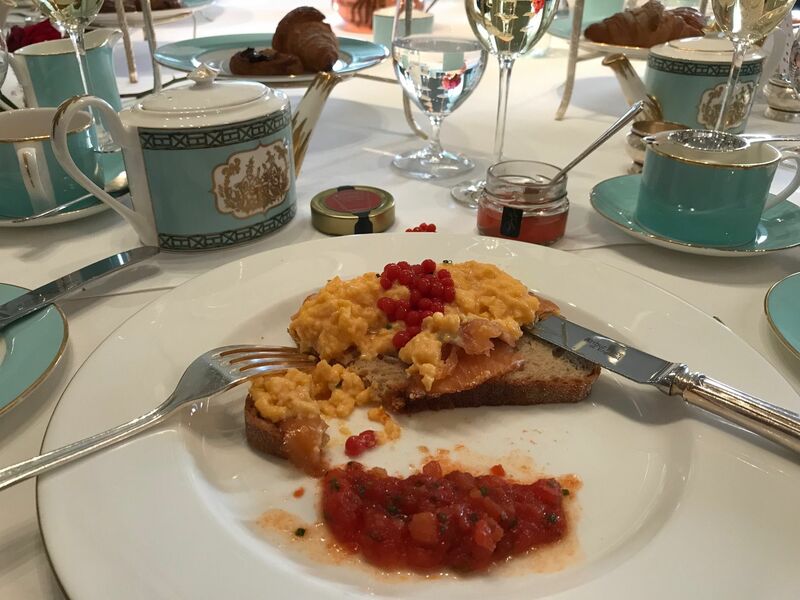 I’m a huge fan of smoked salmon and scrambled eggs, and Fortnum’s topped my plate up with a generous helping of Heinz Tomato Ketchup Salsa, and garnished the eggs with the all-important red pearls. Utterly delicious and while it’s effectively tomato ketchup, somehow it tastes a little bit lighter and looks much prettier. Best of all, if you’re a giant fan of Heinz Tomato Ketchup, you can elegantly spoon it on top of anything and everything to enhance the taste, without looking (or feeling) too greedy. Personally, I thought it worked better with the first dish as smoked salmon is salty anyway, and while I loved the tangy, sweetish element, it elevated the potatoes to the next level of loveliness. 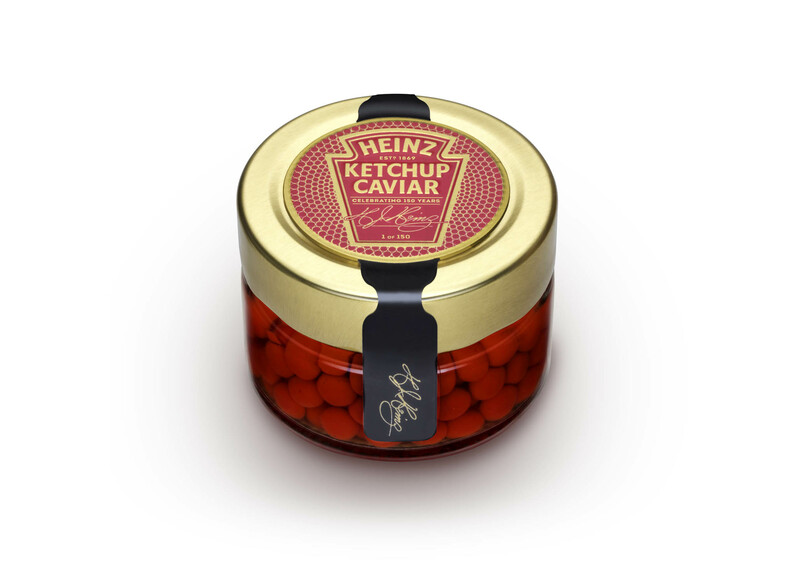 Only 150 jars of Heinz Ketchup Caviar are available in the UK. 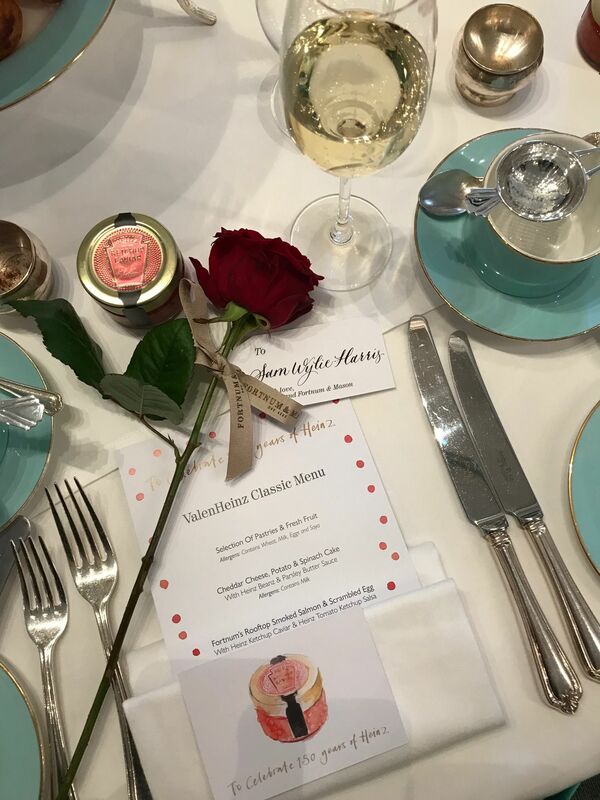 To be in with a chance of trying it at the ultimate Champagne ValenHeinz Breakfast, visit facebook.com/HeinzUK before 12pm Friday February 8 and enter. 75 winners will be selected at random, and will need to be available on the morning of Thursday, February 14.